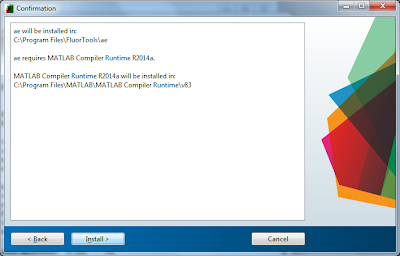 Installing and running compiled MATLAB applications - The fluorescence laboratory. 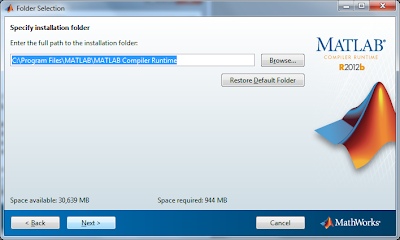 All of the software on this site is written in MATLAB but have been compiled to stand-alone executables (exe-files) using MATLAB's own deployment tool. 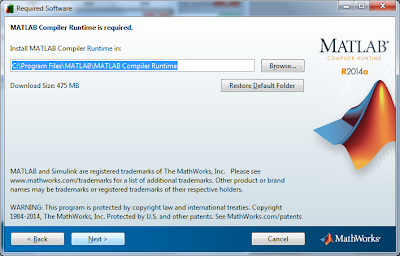 The compiled application requires a free MATLAB Compiler Runtime (MCR) environment installed in order to run. 2. 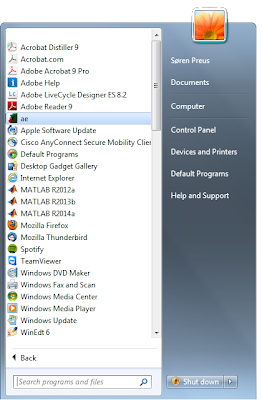 Select installation directory. It is important you have full administrator rights at the path of installation. 4. 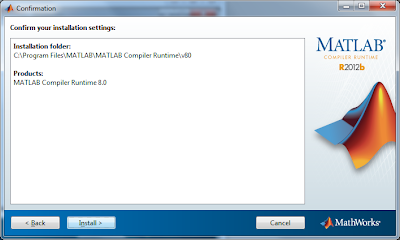 If you have not previously installed the MATLAB Compiler Runtime (MCR) you have to download and install it in order to run the program. Select installation directory of the MCR. Press Next. 5. Agree and press Next. The download of the MCR begins. This will take a while because of the large size of the MCR (>400 MB). 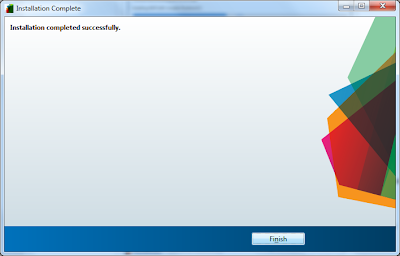 After the MCR setup file has been downloaded the MCR will automatically install itself. 7. After installation, press OK. The installed software has been added to your start menu. 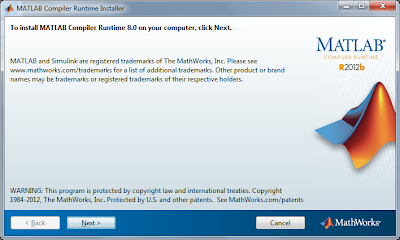 The guide below is for all software versions up to 1.3. 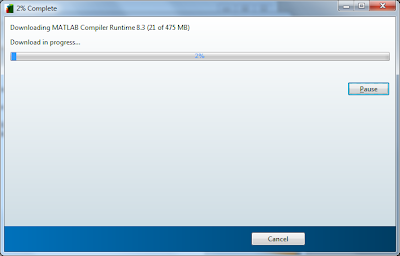 Newer versions has the MCR installation embedded in the downloaded setup file. 1. 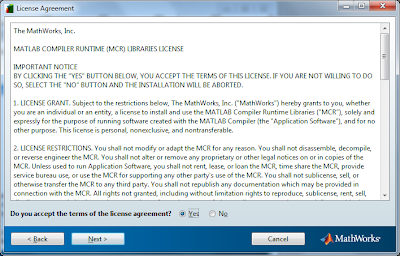 Download the proper MCR from Mathworks. 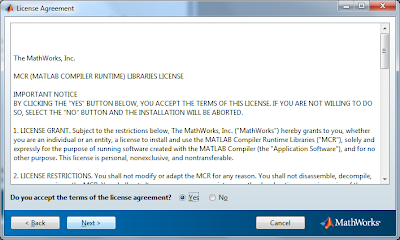 It is important that the installed MCR version corresponds to the same version under which the application was compiled. 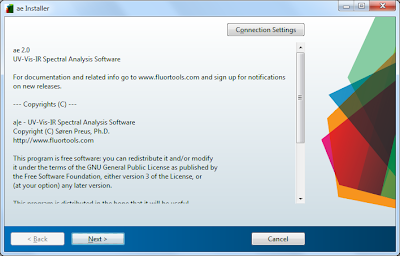 You can get this information in the readme-file associated with the downloaded software. 2. Double click the downloaded exe-file. 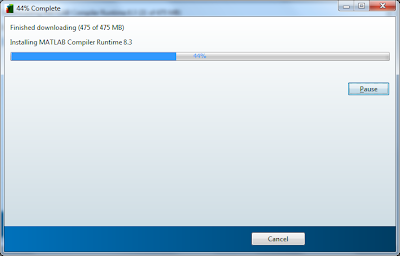 This will start the WinZip Self-Extractor. 4. Click 'Yes' and then Next. 5. 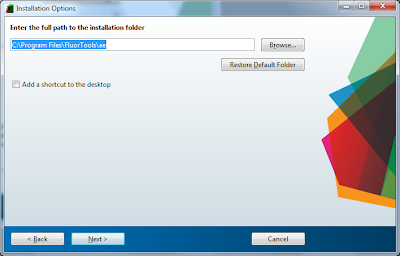 Specify the installation directory and click next. Installing the MCR requires 2-10 minutes depending on your machine. 8. 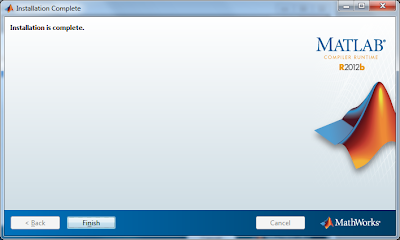 When the MCR is installed, locate the folder with the software you downloaded and run the associated .exe file (e.g. ae.exe or DecayFit.exe). 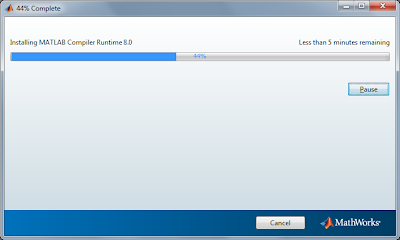 Loading the software the first time after restart can take up to 60 s.
If the software does not open after installing the MCR you can end the running process from Window's Task Manager. 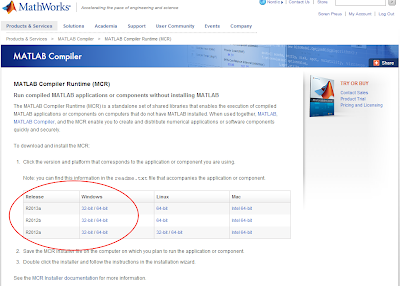 Then see this page on common installation issues.